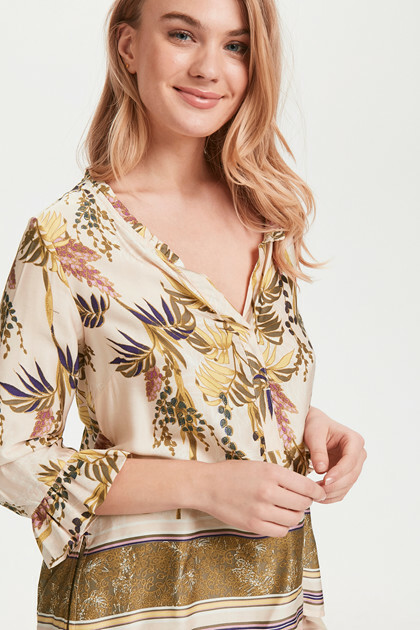 Trendy and comfortable blouse from Cream. 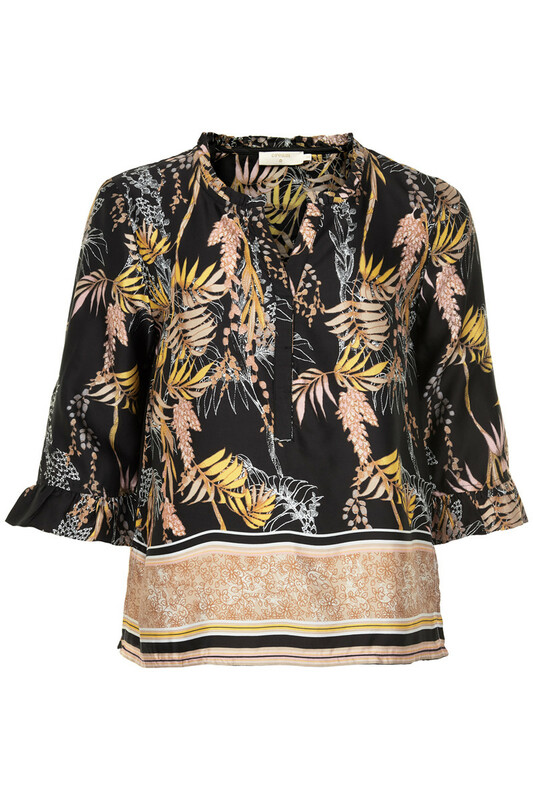 The blouse has cute ¾ sleeves with ruffles, adding a feminine look. 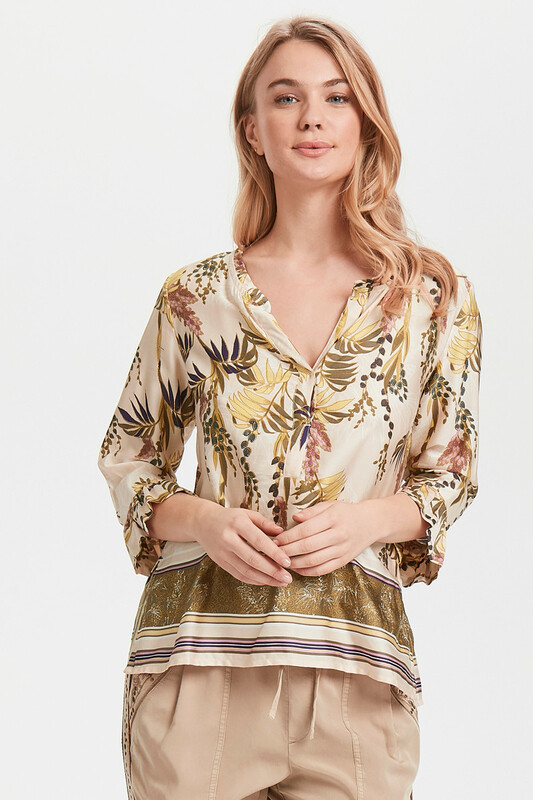 Furthermore, the blouse has a regular fit, a v-neckline with small ruffles at the collar and it is very comfortable to wear. 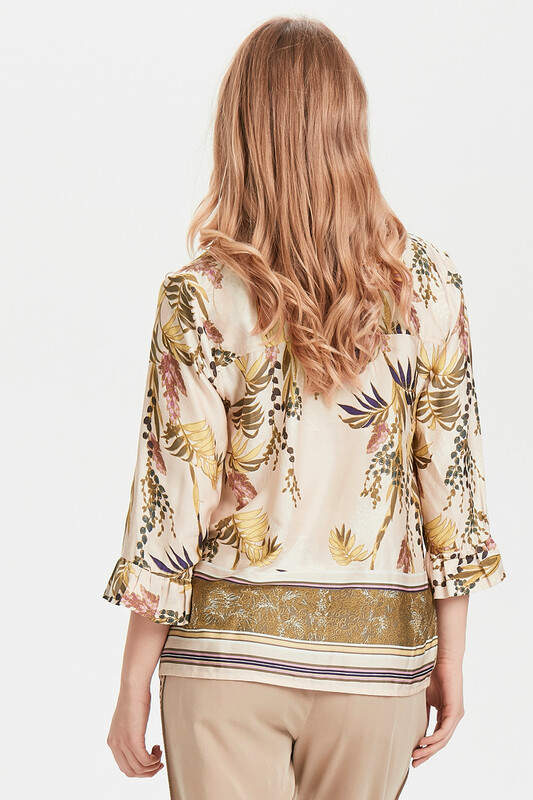 Besides, the beautiful print of the blouse is very eye-catching. The blouse is a safe choice for both parties and everyday use. Match it with Monique Pants for a completely stylish and cool outfit.